When Netflix started up more than 10 years ago, its sales pitch was pretty simple: Hey, subscribe to us, and we'll mail you DVDs that you can then mail back to us without worrying about any late fees. 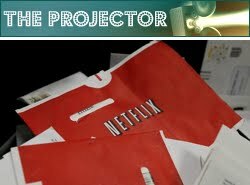 But as the rental market moves toward online and on-demand models, Netflix's iconic red envelopes may eventually become as antiquated as VHS tapes. Beefing up their streaming business, Netflix has predicted that in about two years their economics will be geared more toward their "Watch Instantly" service than through physical discs. For that to happen, Netflix will have to nudge their DVD-loyal customers to the new platform. And on Monday, the company learned just how hard that may be. In a seemingly innocent 109-word blog post, Netflix director of product management Jamie Odell announced, "We're removing the 'Add to DVD Queue' option from streaming devices," suggesting that it was being done so that the company "can concentrate on offering you the titles that are available to watch instantly." Granted, the Netflix website still allows DVD queue updating, but this post, dropped on the morning of Martin Luther King, Jr. Day, created an immediate firestorm of comments -- most of them very, very angry.